Andersons of Edinburgh began publishing playing cards in the late 1920s and several brands are known, including ‘Clan Tartan’, ‘Masquerade’ and ‘Thistle’. Many of the back designs are in Art Deco style. 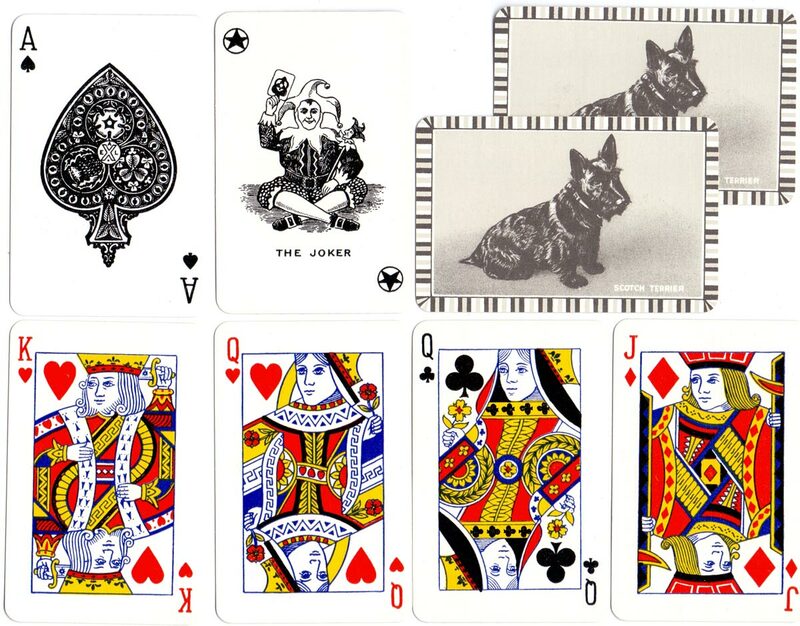 The design of the court cards and Joker are the same as those which were subsequently produced by Porterprint Ltd in Leeds, but the exact details of the relationship are not clear. The courts of the wide-size packs are in four colours, and there are two slightly different wide sizes. 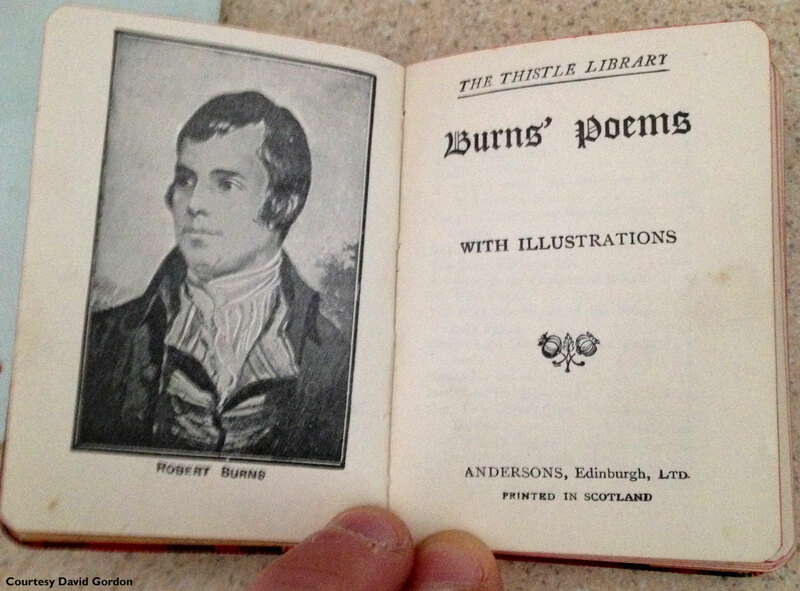 Andersons also published a double-boxed set for George VI's coronation in 1937, as well as a series of miniature Scottish books bound with cloth tartan under the name “Thistle Library”. Above: ‘Clan Tartan’ series playing cards come in a maroon box, c.1930s. Curiously, the small A.E.L. lettering in the centre of the Ace of Spades is up-side-down in the top example. Above: ‘Masquerade’ series playing cards come in a fancy and complicated Art Deco style box (see below), c.1935. The label is inside the padded lid. Above: 3 and 4-colour Bridge playing cards, c.1938. Note that the courts of the wide-size ones are in four colours, and there are two slightly different wide sizes. Images courtesy Ken Lodge. Above: the ‘Colonials’ pack is slightly bigger than the Masquerade pack and is in a Goodall box. The ‘Colonials’ box, although it says Goodall's on it, is made of very inferior card of a poor buff-grey colour, not like any we've seen by Goodall proper. The bicycle back was certainly used by Goodall/De La Rue on their ‘Colonial’ packs. Right: boxes from ‘Colonials’, ‘Masquerade’ and ‘Thistle’ packs. Above: plastic and miniature cards. The miniature packs are all-plastic (celluloid, probably) and come in little fold-over wallets, 1930s. The lower one looks earlier and is from different plates. Images courtesy Ken Lodge. Images of ‘Colonials’, ‘Masquerade’ and ‘Thistle’ packs kindly supplied by Ken Lodge.